While the MoD may be swayed by 300,000-manpower reduction in the PLA, US concept of Integrated Brigades in Iraq and Afghanistan and the German concept of three rifle company battalions, all this must be related to our environment of future conflict of a two-and-half to three-front conflict. Where one Army Chief told the Prime Minister to delay the invasion of East Pakistan, it should not be difficult to tell the Defence Minister that this diktat of cutting down manpower of the magnitude of 150,000 to 200,000 cannot be executed in a hurry. It requires much deliberation considering that cuts of this magnitude were never possible despite several Army Chiefs addressing the issue. Moreover, the exercise to reduce defence expenditure must take into account the entire defence establishment, not just the Army. “The Indian Army is ‘downsizing’, ‘transforming’, ushering in a Revolution in Indian Military Affairs (RIMA)”… and suchlike reports have been hogging the headlines past few weeks. One media report even states, “In view of modern weapon systems with much higher accuracy and lethality, there is no point in hanging on to the World War II organisations. This exercise alone can “downsize” the army by 25 per cent” – one amongst several idiotic speculations. Media excitement over anything related to the Army, even pakoras, pooris and golf, is to draw ‘intended’ mileage. But on a serious note, propping up of matters military is, with a well-designed politico-bureaucratic plan through ‘chosen’ scribes; in the instant case, pressuring Army to downsize without touching the bloated and higher paid civilian defence setup. Not that it was not happening earlier; remember the scribe inking fables of a purported army coup was briefed by a Minister. Another example was the Joint Secretary in Ministry of Defence (MoD) coordinating media leaks to ensure closure of the Army’s Technical Support Division. But before commenting on changes described in the media with regard to the transformative study, there is the need to look at some basic issues. The current exercise being undertaken by the Indian Army is reportedly to make it lean and mean. Whatever the interpretation, the main gain is supposed to be savings to the tune of Rs 6,000 to Rs 7,000 crore annually which can be used towards modernisation. Just last year, the government appointed the Shekatkar Committee had submitted its recommendations to the MoD saying if all its recommendations are implemented, Rs 25,000 crore will be saved. Ironically, the MoD only implemented what suited the bureaucracy. Army Base Workshops (ABW) were placed directly under the MoD after being privatised and posted with civilian defence employees. In addition, Military Farms were taken over by the MoD – imported cows, infrastructure and most importantly, defence land. The government had constituted the Shekatkar Committee to, “Recommend measures for enhancing combat capability and re-balancing defence expenditure of the Armed Forces with an aim to increase Teeth-to-Tail Ratio”. If the government had any understanding of matters military, then Defence Minister Arun Jaitley would have appointed a serving Lieutenant General to head the Shekatkar Committee, integrating the Army, Navy and Air Force into the study. That would have obviated other studies like the one being done presently by the Army. It was a deliberate act to exclude the Services. To top this, the MoD has avoided acting on the recommendations dealing with restructuring of the Ministry. Not without reason, an Indian Air Force (IAF) officer wrote, “The Shekatkar Committee Report is an Auditor’s Report submitted to the ‘Super Auditor’ of the nation, Arun Jaitley and has ‘Nil to ‘Negative’ operational value and content” (http://www.indiandefencereview.com/news/shekatkar-committee-report-genuine-reforms-or-cosmetic-re-grouping/). The Army lost control of the ABWs which will now function under the MoD with the same unaccountability and lackadaisical attitude of the DRDO, and the Army has to approach them through the MoD now. When the issue of ‘purported’ surplus defence land emerged concurrent to ‘opening of 62 military cantonments’, the media reported that the Army was looking at compensation of Rs 1,00,000 crore which would be utilised to modernise the Army. But the utopia fizzled out after Defence Minister Nirmala Sitharaman announced that nothing will go to the defence budget from disposal of defence land, leave alone dedicating it to Army modernisation. Going by the defence allocations in the last three budgets, the Army should be quite clear what it will get in future and what modernisation will be possible, if at all. So this is not going to be the last directive for downsizing. The present study is obviously a directive from Nirmala Sitharaman (though the MoD will deny it outright), even as media is showcasing it as the Army Chief’s initiative. If it was the latter, he would have ordered these studies perhaps within first three months of his assuming present appointment, especially since he was already the Vice Chief. The Army had cut over 14,000 jobs between 2005 and 2013 but possibly the politico-bureaucratic hierarchy was swayed by the PLA cutting down manpower by 300,000, not realising the vastly different threats, environment and army deployments in the two countries. Hence the ball-park figure of the need to cut down 150,000 to 200,000 manpower – talk about revival of Mungeri Lals! Media reports that the Indian Army plans to cut 50,000 troops in next two years and another 1.5 lakh over the next five years. The reports say, “Army Chief General Bipin Rawat wants a leaner, meaner and more technology-driven Army with fewer troops, envisaging a cut by 150,000 to 200,000 troops from the current 1.2 million plus force.” Cuts also envisaged in Infantry have been commented on in these columns already (http://www.indiandefencereview.com/news/cutting-infantry-strength-avoid-aur-chupo-syndrome/). For those rooting for three rifle company infantry battalions, as used by Germans in WW I, they need to serve in infantry battalions say in Arunachal Pradesh to realise frontages held. We cannot switch to three rifle company infantry battalions just because Germans had them in WW I, lest we end up raising more battalion headquarters to prove we too can be penny wise and pound foolish. The argument that an infantry battalion with three rifle companies can take up independent tasks is naïve, because a four rifle company infantry battalion can undertake such task even better. Of vital importance is the ‘bayonet strength’ that will be available to the Battalion Commander at the required time. Remember, more armoured regiments with lesser number of tanks was argued for in the past along similar lines; but mercifully, the idea was shelved. In the overall context, we must also take into account the average manpower shortages the military faces, normally waived off as ‘temporary’ because of recruitment patterns. In December 2017, the Defence Minister informed the Parliament that the Armed Forces were short of 58,602 personnel; Army 27,864 personnel, Navy 16,235 (24 per cent of their authorised strength) and the Air Force 15,503 (10 per cent of its authorised strength). In addition, the Army was short of 7,679 officers against 49,932 (shortage of 15.38 per cent), So, the manpower shortage in the Army including that of officers was – 35,543. The point to note is that such shortages are hardly temporary because they remain constant, even as numbers fluctuate. Manpower deficiency must also take into account Low Medical Category (LMC) personnel. Defence Minister Nirmala Sitharaman had also told the Parliament that 48,500 Armed Forces personnel had been granted premature retirement in last four years since 2014; 47,499 from the Army, 465 from the Navy and 553 from the Air Force. Obviously, the Army always has hundreds of LMC who can perform limited tasks only. The Army HQ would have the exact figure; the average manpower shortages of Army at any time could be 35,000 to 45,000 including about 10,000 LMC. Every government wants Army to downsize in the absence of a national security strategy and without defining what the right size is. Army Commands would have war-gamed the war doctrine and how various arms and services will be deployed with lateral command and control, even as the ‘digitised battlefield’ is perhaps more than two decades away. But when the Army Chief says we must be prepared to fight on two fronts simultaneously, we may be fighting a three-front war with the internal situation much more adverse than what is today. Has this been war-gamed collectively by the Army in addition to the war games at Command levels? Such a more-than-likely scenario, on face value, implies that cutting down 150,000 to 200,000 only to save money, may be naive. Further, cutting the teeth more may be suicidal given the present and future operational requirements. We must also acknowledge that behind the hyperbole of technology replacing manpower, it is the man behind the machine that matters and will continue to matter with respect to our Army in the foreseeable future. Let us first arm the soldiers adequately and build capacity for fighting in a digitised battlefield rather than talking about something which is non-existent presently. The Pentagon’s 2018 ‘Report on Military Developments in China’ describes China’s coercive approach as, “…Use of tactics short of armed conflict to pursue China’s strategic objectives through activities calculated to fall below the threshold of provoking.” An analysis of this while comparing it with Indian defence preparedness including lack of border infrastructure, will indicate the considerable dominance (both physical and coercive) that China can exercise astride the Line of Actual Control (LAC), particularly the areas it claims illegally. Ignoring this reality and believing that China has had a change of heart, can be disastrous. Indian policy makers must seriously debate the rising threat. India has always lacked strategic thought but the speed at which Nepal is being assimilated in the Chinese orbit, should cause us to remove our blinkers. A decade from now, if not earlier, we may have the PLA along with Nepalese Army milling around the Indo-Nepal border on some pretext or the other. Bhutan may also be sucked into China’s orbit. To think otherwise, would be naïve. The pundits in the MoD and the Ministry of External Affairs (MEA) would not be concerned today about the implications for the Siliguri Corridor, but the Services especially the Indian Army should not lose sight. At the height of WW II, over 2.5 million troops were fighting abroad. They were de-mobilised after the war by the British. A quick re-mobilisation post-Independence could have enabled us help Tibet retain its sovereignty. We also had to raise a Mountain Division on an emergency basis in just seven days in 1962. In January 2018, faced with Chinese intrusion in Tuting Area of Arunachal Pradesh, we had to push a 300-strong porter company to sustain just 120 troops deployed to block the intrusion. For preparation of the Cabinet Committee on Security (CCS) note to establish HQ Integrated Defence Staff (IDS) only seven days were allotted. The result was that most of the organisation, less the Defence Intelligence Agency (DIA) remained grossly understaffed. For example, the Assistant Chief of Integrated Defence Staff (Strategic Operations) was authorised only a PA, no clerk, no runner. The lesson here is that once the Army study to cut down 150,000 to 200,000 strength is approved, to get authorisation of even one additional rifleman, the Army will be fighting a prolonged battle with the MoD and still lose. It appears the Army Chief will like the study approved earliest; perhaps before general elections to earn brownies for the political masters. But his successors should not be faced with changes (whether by design or default) that they wish weren’t approved. It is reiterated that we must war-game how we are going to fight a three-front war, taking into account rear area security (Siliguri Corridor included) in the foreseeable future, before rushing headlong into manpower cuts. With the primary objective being to save money, have we taken into account that against 14.5 lakh Armed Forces, there are four lakh civilian defence employees – a ridiculous ratio of 1:3.6. 36 per cent of the defence pension bill goes towards civilian-defence employees? On an average, a civilian defence employee and pensioner is five times more expensive than his uniformed counterpart or military veteran. The allocation to the Armed Forces must also be viewed against – Rs 14,000 crore budget to MES (86,000 strength); Rs 1,500 crore to Ordnance Factories (77,000 strength); Rs 18,000 crore to DRDO labs (31,000 strength); Rs 1,000 crore to Defence Accounts (26,000 strength); Rs 18,000 crore to Defence Estates (18,000 strength) despite complicity in over 13,000 acres defence land encroached upon and 2,500 Defence Bungalows illegally occupied; Rs 16,000 crore to organisations like DGQA, QGAQA, AFHQCS, DOS, MOD, CSD (24,000 strength). Details of the invisible tail eating ferociously into defence expenditure need to be made public by Parliament’s Standing Committee for Defence (https://blogs.timesofindia.indiatimes.com/In-search-of-propriety/cutting-the-defence-budget-the-invisible-tail-that-no-one-talks-about/). Changes within the Army HQ are a definite must. Even the Vice Chief is authorised to make them, without any fanfare. Pragmatism will naturally be the key, but past mistakes must also be addressed. For example, a Military Survey which was part of Directorate General of Information Systems (DGIS) on the specific directive of the MoD to ensure confluence of Operational Information Systems (OIS), Management Information System (MIS) and Geographical Information System (GIS), was quietly moved out on the whims of a Vice Chief without reference to the MoD, despite having an adverse affect on the development of the Army’s Tac C3I System. It would be good to revert the Military Survey to DGIS. The Army must also review the manning of organisations such as the Army Software Development Centre (ASDC) and Army Cyber Security Establishment (ASCE) by personnel on three to five year tenure basis, which is too short. One way out could be to let these organisations be predominantly manned by women for longer durations since permanent commission for them has been introduced. With reference to doing away completely with Military Training Directorate with Army Training Command (ARTRAC) at Shimla, how smooth the interaction between other Directorates at Army HQ at various levels will be with the ARTRAC, has obviously been taken into account. Perhaps the module of ARTRAC at Delhi may already be inflated; in effect the ARTRAC module at Delhi will replace the MT Directorate. If this arrangement is acceptable, then should the Indian Army seriously not take a re-look at the earlier study done by Lt Gen SS Mehta which had recommended transforming HQ Central Command to ‘Logistics Command’ and reduce the concerned Directorates of Services at Delhi? The recommendation of ‘Logistics Command’ was shelved citing Delhi-Lucknow distance, but more so, because of haggling over who gets how many two and three star appointments. But if elimination of the MT Directorate is accepted with ARTRAC sitting at Shimla, then the ‘Logistic Command’ at Lucknow must be considered. It would also partly address our Eastern, Central, Western and Northern Commands looking after the LAC with China compared to China’s Western Theatre Command not only responsible for the entire LAC but China’s complete border with Myanmar, India, Nepal, Bhutan, POK and Afghanistan. In fact, there is a need to holistically review the command and control of our international borders at the Army, Tri-Service and the national level. Elimination of Divisional HQ and placement of restructured all-arms Brigades directly under the Corps, akin to the concept of US Army in Iraq and Afghanistan, is also under discussion. Some of our Divisions are as big as Corps. How many Brigades is a Corps going to handle including in the vast frontages in the North-East, what will be the spread on ground of these Brigades, how will the support elements in the Divisional HQ be distributed amongst the Brigades? Hopefully, we are not going to witness the most spectacular derailment of the best organisation in the country. There is absolutely no doubt that the Army Commanders are the best of military professionals, but the problem is that if the end figures of 150,000-200,000 are already fixed, then it boils down to somehow justifying those cuts one way or the other. The word of the Chief is gospel truth. But the politico-bureaucratic nexus has sabotaged the system of selection aimed at subduing Service Chiefs and now, the appointment of Army Commanders has also been made selection grade. In plain words, the conquest of the MoD is complete, leaving little scope for dissent, albeit not in totality depending on individual personalities. It is also about time the Army realises that the unprecedented action of 756 officers knocking on doors of the Supreme Court amounts to crisis in military leadership. Rather than making sundry statements, the need of the hour is for the Chief to stand up to the government lest the situation worsens. News of elimination of Brigadier rank is accompanied with reports that all officers will be commissioned in rank of Captain, all will retire in rank of Major General, and that Brigades will be commanded by Major Generals. This implies that when a Major General is Brigade Commander, his Deputy Commander will be a Colonel and at least the Camp Commandant/OC Troops time-scale Major General. In fact, the ‘Integrated Brigade’ may have several Major Generals. Wonder when the Brigade Commander is away, whether the Colonel (Deputy Brigade Commander) will officiate in his place or the Brigade Commander will nominate one of the Major Generals? Obviously, the race for equivalence is reaching ridiculous proportions. Besides creating problems with the Navy and the Air Force, the Army cannot ever hope to win the equivalence race with civilians. But why are we bent upon making ourselves the laughing stock of the world? The Army reportedly says cutting manpower will also reduce civilian defence employees. This may be sheer utopia, considering that Arun Jaitley as Defence Minister (who is also hailed as number two after PM Modi), was nixed in the bud in his effort to privatise the Defence Public Sector Undertakings (DPSUs) and Ordnance Factories. The Army may cut down manpower, but civilian defence employees are likely to be relocated within defence establishment, not reduced. Their upgrades will continue, frustrating the Armed Forces even more. The concept on which the establishment of Rashtriya Rifles (RR) was sanctioned, envisaged 90 per cent manning by Ex-servicemen (ESM) and balance by Infantry on deputation. The concept was flawed, as admitted by the then Army Chief General Shankar Roychowdhury in his autobiography penned after he retired; which ESM would want to serve in RR after combating insurgency periodically during his active service. The result was that the infantry got overtaxed. The personnel from units moving from field to peace, were posted to RR and reverted to the unit by the time the unit was moving back from peace to field or Counter Insurgency (CI) area. Therefore, all arms had to contribute to RR. The infantry continues to provide the majority of the manpower to the RR, the percentage of which is to increase. It is not known whether the HQ CIF of RR (equivalent to Divisional HQ), are also being done away with., However, if that is indeed the case, then can the RR Brigades not be controlled directly by the Corps as in case of the Infantry Brigades? Given an increment, can the Infantry Directorate look after the RR, rather than maintaining separate RR Directorate? This may also be beneficial from the viewpoint of operational tasks of RR formations on mobilisation. Additionally, moving the RR Directorate to Northern Command will obviously require infrastructure at the new location. Above the talk about ‘Integrated Brigades’, is the overriding need of integrated operations by the three services. The MoD’s consistently demonstrated policy of ‘divide and rule’ leaves little hope from that quarter. The onus lies on the Army Chief, even when he is not the Chairman, COSC because, out of the 1.4-million military, the Army comprises 1.2 million. It is he who must push for Integrated Theatre Commands and Integrated Functional Commands at the COSC level and make the COSC bat with MoD and with the PM. The Services had collectively agreed with the then Defence Minister Pranab Mukherjee in a meeting in 2005 on the proposal for the appointment of the Chief of Defence Staff (CDS). The current media line that the IAF Chief is against the proposal to appoint the CDS, is a ploy of the bureaucracy which can be circumvented by mutual agreement between the Service Chiefs that the first CDS could well be from any Service and not necessarily, the Army. Five comprehensive studies for establishment of Theatre Commands were ordered by HQ IDS in 2005. These were presented to the DGMO and equivalent from the Navy and the Air Force. All were in agreement that it would be a boost to operational capability. These must be pursued, and as mentioned, the main push must come from the Army Chief. Let us now examine how to curtail defence expenditure. Where there has been ongoing discussion on compulsory military service, it should be mandated to combatise all four lakh civilian defence employees. Not only will this save money, it will help harmonise civil-military relations, usher in accountability and resolve the equivalence issue to some extent. The ‘Invisible Tail’ (as mentioned above) eating into defence expenditure must be addressed through a government-appointed high powered committee (HPC – group of Parliamentarians and members of Armed Forces), which should also work out merger of the MoD with HQ IDS. This will result in considerable savings in manpower and remove the hollowness of military professionalism in the MoD that has become unique to India. The Department of Defence Production (DoPD) needs to be moved to be under the Ministry of Commerce and Industry. This will not only make the MoD leaner, save manpower and money, but would also prod the governmental defence industrial complex to shake out of the straight-jacket they have got used to in the past five decades. To straighten out the vexed issue of equivalence, the only solution is to institute same pay for same length of service. It must also be acknowledged that the combined strength of the Central Armed Police Forces (CAPF), which has already surpassed the strength of the 1.2 million-strong Army, is continuing to expand. The Home Minister visits J&K and announces the raising of additional nine CAPF battalions just like that. Expenditures increasing on account of pay and allowances are a constant phenomenon which will keep going up with passing years. Ironically, it is the defence budget that comes into focus at the national and international levels, not the budget of the Home Ministry, which appears unlimited. 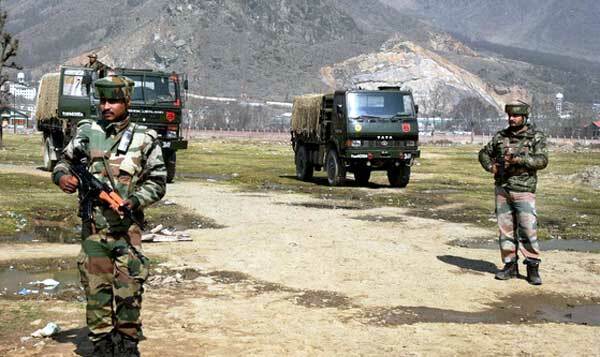 With this as the background, it may be prudent for the Rashtriya Rifles to be funded by the Home Ministry, akin to Assam Rifles, while continuing to operate under the Army. There is another alternative that when the CAPF raise the nine additional battalions as announced, they are given one of the divisional-level sectors of RR and one division of RR is disbanded. However, comparative operational capacity will need to be weighed in. On balance, while the MoD may be swayed by 300,000 manpower reduction in PLA, US concept of Integrated Brigades in Iraq and Afghanistan and the German concept of three rifle company battalions, all this must be related to our environment of future conflict of a two-and-half to three-front conflict. Where one Army Chief told the Prime Minister to delay the invasion of East Pakistan, it should not be difficult to tell the Defence Minister that this diktat of cutting down manpower of the magnitude of 150,000 to 200,000 cannot be executed in a hurry. It requires much deliberation considering that cuts of this magnitude were never possible despite several Army Chiefs addressing the issue. Moreover, the exercise to reduce defence expenditure must take into account the entire defence establishment, not just the Army. For the media that is calling the present study the first transformative study after General K Sundarji had introduced the Reorganised Army Plains Infantry Division (RAPID) in the Army was not to reduce manpower; but increase the maneuverability of army formations for deeper thrusts and rapid response. Besides, the Chief is not a ‘jamura’ who can chant ‘gili-gili’, waive a magic wand and cut down 150,000 to 200,000 manpower of the Army. Very exhaustive indeed. Thought provoking ; takes ground realities into consideration. Powers that be, need to go into depth before taking such vital decisions. Why not invent and place fully automated rifles, canons and tanks on the front line and give the remote control to ……. Then the whole Army can be sent home packing. That will save a fortune.